First Ever No7 Purchase. Ta Dah!! Hope your all ok and having a lovely week. Today I did something I have been meaning to do for a while, I went into Boots and tried there skin match. For those of you who don't know or haven't heard, they have this very cleaver little machine that they put just on top of your skin and it says which one of their foundations would match your skin colour. I am the first to admit I am such a brand follower. If I find something that I love, I will always be loyal to that brand and buy their items. 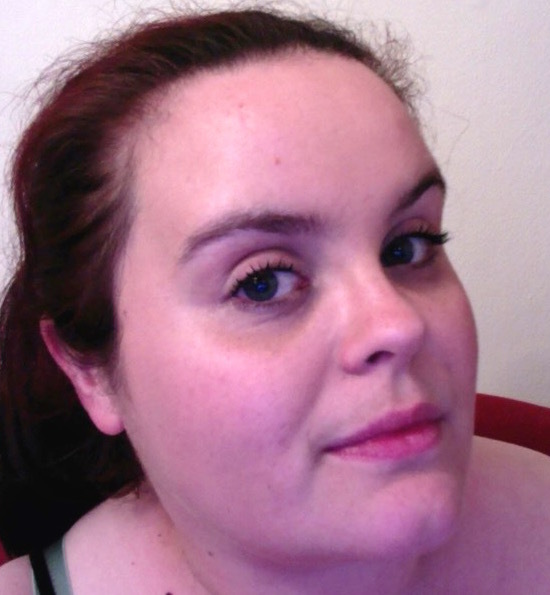 For foundation that has always been Loreal True Match Foundation in Fair, but sadly recently it just has not been working for me, I tried the Wake Me Up by Rimmel in the fairest shade but to me that still seemed a little dark. I had to go into boots today anyway to look at hair dye (yep I'm gonna colour my hair again) and when I saw the make up counter I thought oooo lets try it, firstly it was just out of interest, the sales girl was absolutely lovely. She didn't seem pushy with the products unlike some places you can go to where they try to sell you everything under the son. She took her time, and even though it had been a long day she didn't fob me off and give me a rush version of things, she talked me though everything. She took the make up I already had on off and then took this little machine out of a draw, it was so tiny I honestly thought it would have been bigger, she held it against the right side of my cheek and then the left and said ''Cool Vanilla''. In my head I thought omg that is such a cute name, she asked me how I like my make up to look about my skin tone and then went off and found the right foundation for me. Stay Perfect foundation it is for all skin types and gives a matte finish. She asked me about my skin care routine and also gave me good advice about taking my make up off and what not to use. She put it on and straight away she said how good a match it was for my skin tone. She added concealer under the eyes and blush and then asked if I wanted to try the new mascara that had come out and I thought oooooo go on then, well I had gone that far and I cant not go out without mascara. She put one coat on and BOOM hello eyelashes. I have been looking for a mascara that would make my eyes pop and push out, I hate wearing false lashes as I wear glasses and they don't feel right, so finding this is like a god send. It is called Dramatic Lift and it gives your lashes 70% more volume and just makes them look amazing. I love how they make my eye lashes look and I love how the foundation is so close to my skin tone. Like I said before I am a totally brand follower, and boots you have a new follower, I think this is my new foundation and mascara place, I love my Loreal but it is just not working for me anymore and I need to move on a little, I may come back to it but for now I am a No7 Girl!!!!!! I loved them so much I bought them, I loved them and I think I will checking out the rest of the No 7 range, if these are that good then I anticipate the rest of the range. I would recommend theses to anyone and if you haven't tried the Skin Match, do it cause you may be a little different then what you thought you where, I know I was.